A review of Happymon Jacob's book 'Line of Fire'. Happymon Jacob, an associate professor at the Jawaharlal Nehru University, is no stranger to the strategic community. He acquired a higher profile over the past couple of years through his column on strategic affairs in The Hindu and by anchoring an interview-based program with The Wire. In his writings, he has capitalised on his engagement over the past decade with the Track II processes between India and Pakistan, having participated in the Chaophraya and Ottawa dialogues. He heads the independent research initiative to monitor ceasefire violations, the Indo-Pak Conflict Monitor. 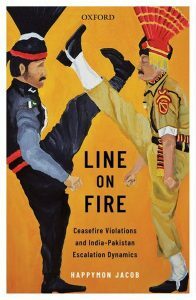 For the lay reader, this background places Jacob as a useful source to turn to for understanding the current impasse in Indo-Pakistan relations over the term of the present government, best illustrated by the theme of the book: Reactivation of the Line of Control (LoC). Over 400 pages of his book Line of Fire, Jacob makes the case that the tension along the Line of Control has potential to spiral into conflict, one that can go nuclear. He contests the prevalent opinion that ceasefire violations (CFVs) – localised exchanges of ordnance along the LoC – are manageable and are perhaps a useful venting of passions and tensions. He believes this to be complacency, unmindful of what he calls the ‘autonomous military factor’ (AMF) or tendencies towards escalation arising from the institutional life of the military and in military culture. His fear is that media-fanned nationalism in society may tie down the political decision maker’s hands in case CFVs are aggravated by egregious violence. Forced to up-the-ante in response – in a variant of the surgical strikes – the two sides may be faced with prospects best described figuratively as an escalation ladder or a slippery slope. Some three decades into the protracted conflict in Kashmir, readers are familiar with what could occur should the situation deteriorate. Aggravated exchanges on the LoC – apart from mega terror incidents in mainland India – could trigger India’s Cold Start doctrine or the launch of proactive offensives at the conventional level. A trite scenario has it that these offensives could in turn cross proverbial trip wires, leading to Pakistani nuclear first use. What might follow is conjectural, but India promises ‘massive’ nuclear retaliation to nuclear strike on it or its troops anywhere. Such retaliation might wipe Pakistan off the map and, in its aftermath, reduce South Asia to an environmental wasteland. Watch: Has India Let Down Its Ex-Servicemen? It is important that the horrific image be conjured up here to show the dangers from the unwillingness of both sides to wrap up their seventy-year-old problem and, at a minimum, implement the plethora of already-agreed confidence building measures on the LoC. For starters, Jacob’s recommendation is that the understanding on the ceasefire on the LoC dating to November 2003 be reduced to a written document for mutual implementation in letter and spirit. Jacob is particularly revealing in his chapter on AMFs, aptly titled ‘Military gamesmanship and moral ascendancy’. While these are generally known within the army, his book serves the purpose of wider dissemination. Among AMFs, he includes ‘fun and gamesmanship’, ‘emotional state’, ‘personality traits of commanders’ and ‘revenge firing and ‘honour killings’’, to list a few. Among other reasons, such ground level impetus results in decapitations, mutilations and firing on non-military targets and other avoidable excesses by both sides. He records the baleful effect such occurrence has on public perceptions on the villainy of the other side and the political fallout in disruption of efforts to mend fences. His expectation is that knowledge of the internal workings of the two militaries and the resulting dynamics on the LoC can lead to mitigatory action on this key escalatory variable, thereby cauterising peace initiatives from buffeted bottom-up. He brings out a little known feature of the common border: no mutual ground rules. The last inconclusive meeting on this issue of the border ground rules committee was in 1987. The two sides agreed at their third round of the expert level dialogue on conventional confidence building measures in 2006 to wrap up an agreement. While little has changed since on paper, on the ground, border guarding forces are exchanging mortar fire on the border (referred to as working boundary by Pakistan) in southern Jammu and Kashmir. What this tells of is the shirking of responsibility of the concerned bureaucracies and the lack of political oversight on both sides, at the unacceptable cost of a reasonable working environment for border guarding forces and prevention of development of a modern repertoire of professional practices. Besides, this militarises the border, making it even less likely that ground rules would be arrived at. The release of Jacob’s book drew attention to the aspect of surgical strikes. The surgical strike of late September 2016 were kept in public view by the ruling party in an attempt to gain electorally. Jacob outs that there was nothing original about these. In fact, his revelations on Operation Kabaddi, suggest that the Vajpayee government had a much more ambitious trans-LoC incursion up its sleeve, one it was forced to abort by the impact of 9/11 on the region. According to Jacob’s sources, including the army commander at the time and a tactical level commander charged with executing a portion of the operation, Operation Kabaddi planned the capture of some 25 Pakistani posts in September 2001. What this suggests is that the military has a limited border war as an option. Since the exercise of such an option is unlikely to remain unchallenged by Pakistan, it has potential so spill-over onto the plains, with the attendant dangers in the scenario mentioned earlier. This ought to energise readers and instigate them in their capacity as voters to exercise their power over the political class to keep military options at bay, and more importantly, resolve differences. 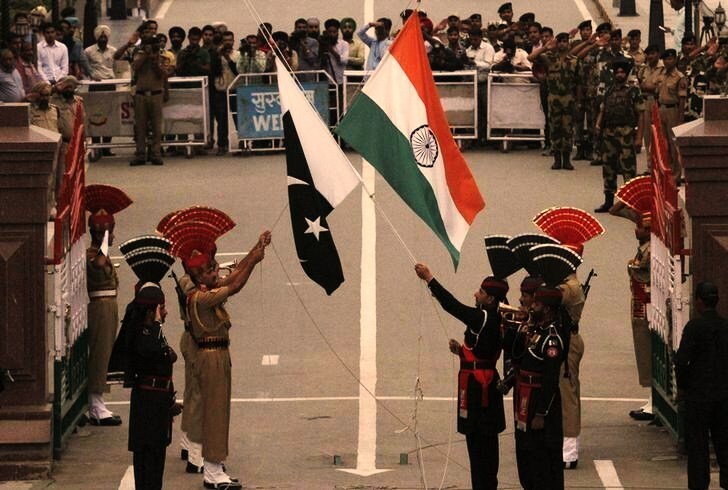 As a result, India has over 5,000 km of unsettled borders with two of its significant neighbours. Lest it slip the mind, both happen to be nuclear armed. Under the cover of nuclear deterrence rather than indulge in protracted conflict management, India would do well to meaningfully settle the outstanding issues from last century. What has been happening instead is that political formations are manipulating the nationalist instinct among people to keep from taking up problems – border and territorial – to their logical closure through meaningful conflict resolution. The recent hit film, Uri, is a case to point. Audience reactions in theatres across India circulated on social media suggests a bloodlust that is not conducive to discussing peace initiatives. On this count, Jacob’s cautionary book is timely. Interpreting labouriously-gathered data, Jacob clinches his findings in an earlier monograph at the United States Institute of Peace that CFVs are an independent escalatory variable. He must be complimented for running a civil society watch dog on CFVs without institutional and financial assistance. To the extent his initiative has found support on both sides, enabling his travel to both sides of the LoC for a first-hand account, there appears to be silver lining. Through his travelogue that can be taken as an accompaniment to this book, The Line of Control: Travelling with the Indian and Pakistani Armies, the practitioners on the two sides appear to be sending a signal to citizens (the principals) to influence their agents (politicians) to set right the conditions that can reduce the region to a nuclear wasteland in short order. Ali Ahmed, a former Infantry officer with a PhD from JNU, has worked at a think tank and taught at a central university in New Delhi. Views here are personal.